« TEACHERS! JOIN US FOR THE 2016 OREGON THEATRE EDUCATORS ASSOCIATION CONFERENCE! The 2016 Regional Acting Competitions are on February 4 – NW at Glencoe HS, Hillsboro; NE at Rex Putnam HS, Milwaukie; S at Central HS, Indepence. Registration is still a ways away, but it’s not too early to consider your selections. Remember that students can enter up to three events. No more than two can be musical events, and no student may enter any event more than once. Students may also only enter one event from each of the non-musical event ‘columns.’ Column A events are Solo Acting, Pantomime and Group Acting. Column B events are Duo Dramatic Acting and Duo Comedic Acting. Again, the entry limit per student is three total events. Each troupe also has a limit to the number of entries they can register for each event. Troupe Directors have this information. All selections must be from published works written for the theatre. Original scripts, non-published sources, or material written for television, movies, or recordings, cabarets, and concerts are not permitted. 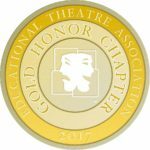 If you hope to participate in the National Individual Events Showcase (NIES) in Lincoln, at the International Thespian Festival, you will want to review the information regarding material selection and performance rights found in the 2016-2017 NIES Guidelines. In Lincoln, you must provide proof that you have obtained the publisher’s permission to perform any non-musical work (musical events do not require permission in this setting). There is some very helpful information about this on the last few pages of the NIES Guidelines. We do not require you to show proof of permission at Regionals or State for any events in Oregon, but material must still be from a published source and written for the theatre. Keep in mind that just because a script or score is available to view or download online does not mean the work has been published. The internet has unfortunately made it easy for people to unwittingly become involved in copyright infringement, especially when it comes to sheet music. If you don’t think this is a big deal to the copyright owners involved, check out what some of your favorite Broadway composers have to say in this Playbill article, or in this catchy YouTube tune which features some familiar faces. Pantomime is the odd-man-out when it comes to these guidelines. There is no longer a Pantomime event at the International Festival but we still have it in Oregon, probably because — at about the time they were phasing it out in Lincoln — we all got see this student performance in our Oregon Showcase. There is a long history of quality Pantomime entries in Oregon, and we’ll keep supporting that kind of work! Except for Pantomime (which is an Oregon-only event), we align our event rules and guidelines at Regionals and State with the NIES Guidelines, so review this material as you begin rehearsing and preparing to blow us all away. … and yes … HAMILTON is now published.